All generations can benefit from estate planning, but that doesn’t mean that all people seek out the support of estate planning lawyers and financial advisors as they should. Younger people are, however, seeing the benefit to planning ahead as they watch their parents and grandparents in retirement. The importance of the financial and estate plan has retained its place as a crucial aspect of planning for the future. A financial plan could even be more important than ever because of rising demand from young professionals about financial and estate planning guidance. Plenty of financial advisors as well as estate planning attorneys are passionate about the overall importance of the financial plan. In fact, advisors say that when interacting with new clients, one of the first steps that they take is to write a comprehensive financial plan. An estate planning attorney can be a valuable asset to turn to in answering many of the most common questions brought about by younger professionals who are looking to protect themselves now as well as to manage their wealth into the future. Planning is a great way to ensure that all of the various professionals involved in your process, such as a financial advisor, an investment specialist, and an estate planning attorney are all on the same page in terms of understanding the current resources for your clients and how to most appropriately maximize resources to get specific long term and short-term goals. Any prospects who do not have enough assets to consider becoming an investment client or protecting their wealth using asset protection plan or estate planning techniques can still benefit from some of the most basic tools available with regard to estate planning. The establishment of a will can be important for passing on assets into the future but a plan for incapacitation, including a power of attorney and other similar documents, can help to address many common questions and concerns that can emerge in the event that someone were to become suddenly disabled and unable to take care of themselves. In all of these situations, the support of an estate planning lawyer is instrumental in assisting with a holistic approach to the estate planning and individual asset protection planning process. 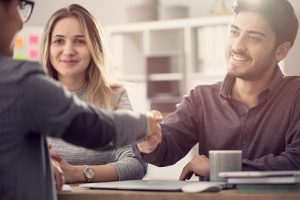 Younger professionals today are working to amass more wealth than previous generations, which means that more of them are turning to estate planning advisors and investment professionals to get support. Do Blended Families Need Different Estate Planning Options?